a while back i stumbled upon a label that screamed my name. sézane by morgane sézalory. i love everything, i'm not kidding. from bags to dresses, i could make a complete wardrobe with everything in this shop. i think it's best described as 'parisian casual chic'. while i'm in my early thirties now, i'm finding myself adapting to a more adult but casual style. sezane seems to provide in that need in every way. 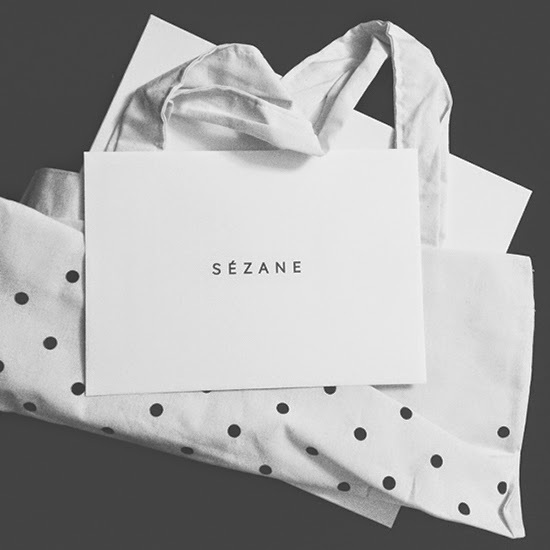 "sézane presents several collections per year that are unveiled with the passing of the seasons. the pieces from the collections are available throughout the current season until all the stock is sold." this is one of the beauties of the shop. there is a limited amount of every piece and once it sells out, it's out! so when you see something you like, don't hesitate too long. at the end of every month the e-shop closes and will be up again the next month with new and improved products. i just bought these cute booties. 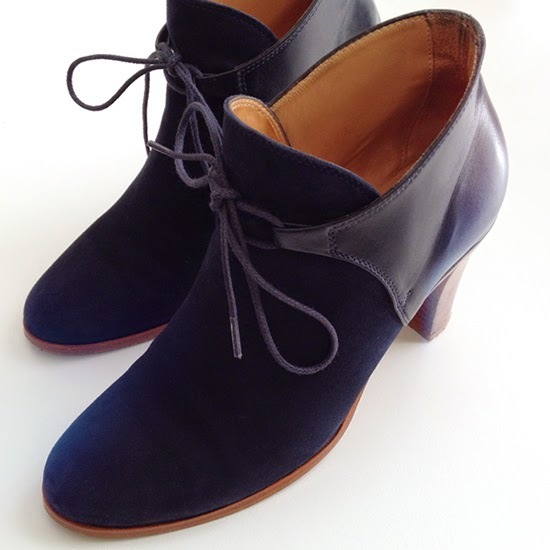 i love the navy colored leather and they are super comfortable because of the sturdy heel. (they look great with this outfit).